Starspangledbanner has had his share of well documented issues over the years, but Saturday was a red letter day for the champion son of Choisir who posted a two state stakes double with Home of the Brave (7g Starspangledbanner x Blissful Beat, by Beat Hollow) capturing the Group II ATC Theo Marks Stakes at Rosehill and classy filly Thrillster (3f Starspangledbanner x Heart of Thrills, by show a Heart) taking out the Listed MVRC Atlantic Jewel Stakes at Moonee Valley. Prepared by Leon and Troy Corstens, who also put the polish on her sire Starspangledbanner, Thrillster scored lucrative wins last season at two in the $250,000 VOBIS Gold Rush Plate and $300,000 VOBIS Sires Stakes before returning with a close third in the Group III MRC Quezette Stakes behind glamour filly Sunlight after drawing 16 in a field of 16. That eye-catching performance put the writing on the wall and Thrillster was quick to take the next step in this 1200 metre stakes assignment. She enjoyed a better run in transit this time from gate three for Noel Callow and hit the line hard to win by a long neck. Thrillster holds entries for the spring majors including the Group I ATC Golden Rose next month. 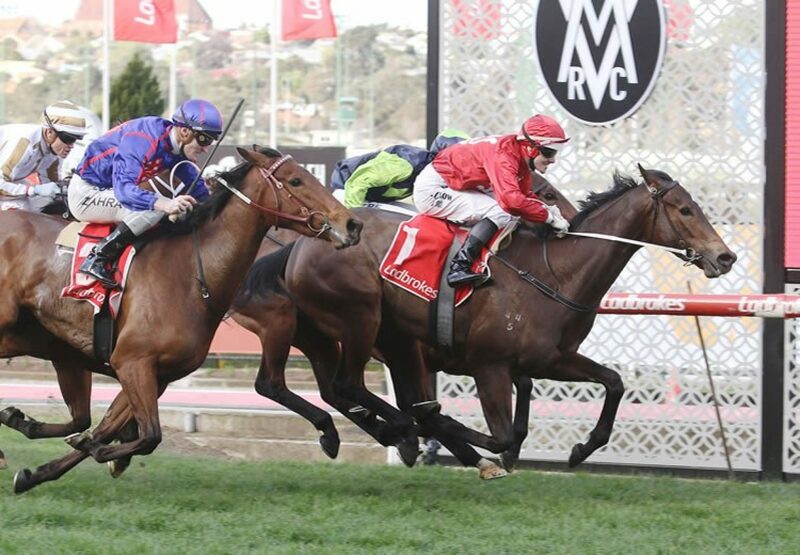 "The Thousand Guineas (at Caulfield) is the target," Troy Corstens said. "We haven't planned anything going forward but she's still in the Golden Rose, so maybe we'll have a look at that. "We'll get home and let things settle down and work it out from there." A $60,000 Inglis Premier purchase from the Rosemont Stud draft for Malua Bloodstock, Thrillster runs for a big group of owners that includes Troy Corstens and Rosemont Stud in whose colours she runs. She is the first winner for Heart of Thrills, a three-quarter sister-in-blood to Group III winner Gotta Have Heart and stakes-winner Crossyourheart. 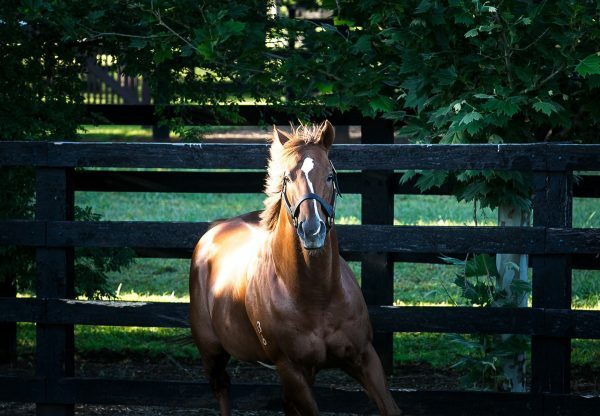 Thrillster is the ninth stakes-winner for Starspangledbanner, who battled fertility issues early in his stud career before enjoying a stint at Rosemont Stud in Victoria before ultimately returning to full commercial use at Coolmore in the Hunter Valley and in Ireland. Starspangledbanner had over 50 foals born in Australia last year and covered a further 56 mares at Coolmore Australia last spring. 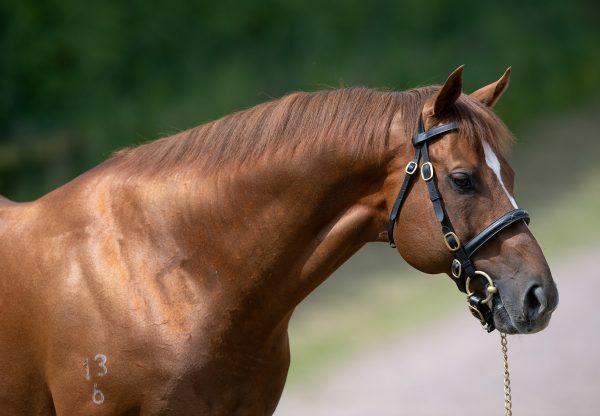 With 10.5% stakes-winners to runners, there is no doubt Starspangledbanner is a top class sire and with these better numbers coming through may well make the impact he deserves. 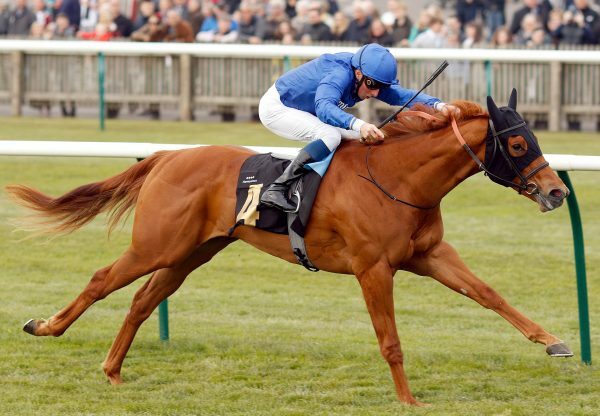 The other Starspangledbanner stakes-winner on Saturday was the Godolphin runner Home of the Brave (pictured above), who led his rivals a merry dance in the Group II ATC Theo Marks Stakes (1300m). Taking on an A grade field featuring Everest favourite Trapeze Artist and classy four year-old D’Argento (4h So You Think x Fullazz, by Redoute’s Choice), the James Cummings trained Irish bred gelding led all the way and kicked clear over the final furlong to beat D’Argento by two lengths with Trapeze Artist a gallant third. 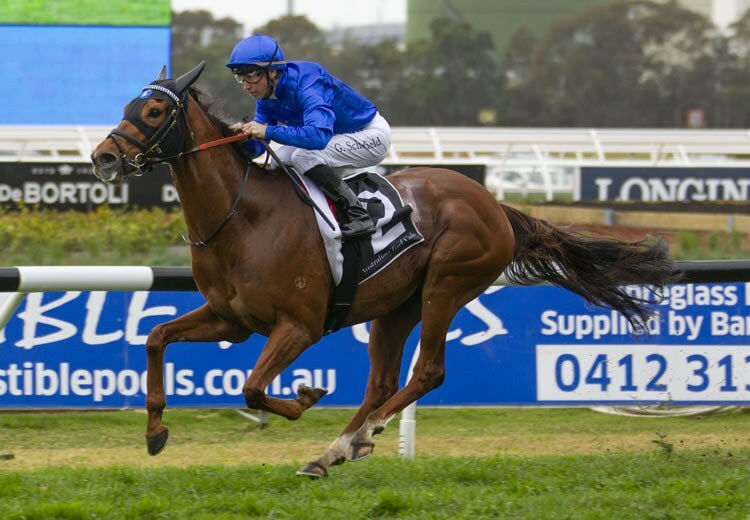 The heavy ground made it a tough test for horses resuming from a spell and Home of the Brave, with a run under his belt, took full advantage of his fitness edge to score his first Australian win. “I was just trying to keep him happy in the testing conditions,” said winning rider Glyn Schofield. 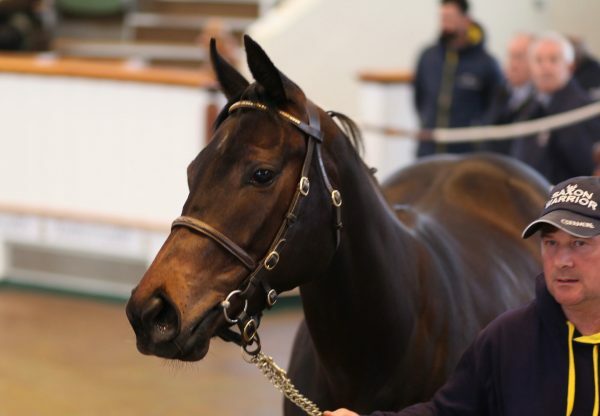 A two time Group III winner in the UK, Home of the Brave has the overall record of seven wins and seven placings from 20 starts and is the best of two winners from Blissful Beat, a half-sister by Beat Hollow to Group III winners Rashbag and Suggestive. Stable representative Darren Beadman was non-committal on a possible start in The Everest. “It was pleasing to see him do it at both ends. He got into a nice rhythm and was strong to the line,” Beadman said.